If you like biology, this is the place for you! We have something for everyone who is interested in biology. 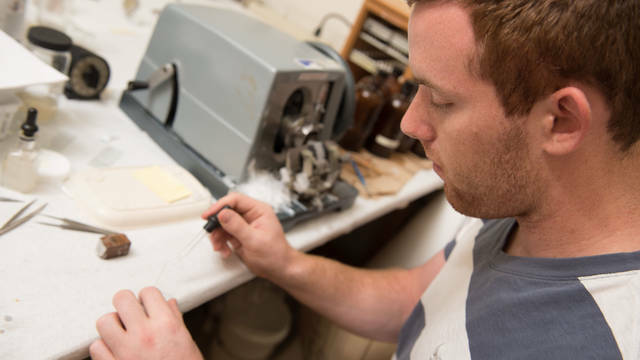 Choose from a variety of majors and minors that study everything from the tiniest organisms to the great blue whale. Plus we have a track of courses that can help prepare you for graduate or pre-professional programs. No matter which route you take, you will get the chance to get up close and personal with biology through lab and field experiences on campus and across the globe. 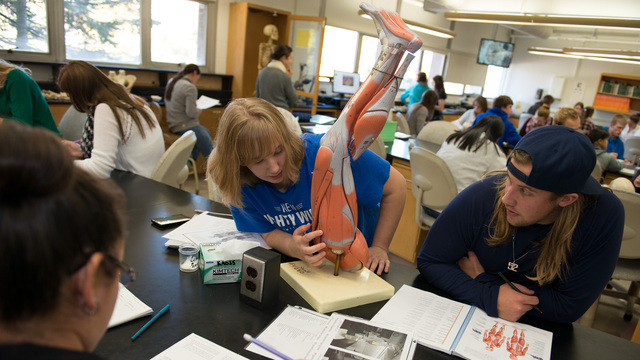 When you study biology at UW-Eau Claire you can be sure of one thing – you'll be going places. Many of our classes offer amazing opportunities to get your hands dirty and explore biology out in the wild. You'll also be prepared to go places after you graduate. Whether you want to continue your education or are looking to land a job you'll love, you will be ready to take on whatever comes next with your liberal arts degree in hand and an understanding of how to contribute to the world around you. The study of biology can be divided into so many different facets. To find your diamond in the rough, explore the majors and minors you can use to focus your passion for biology into a degree and a career. Want to be a doctor, chiropractor, pharmacist, dentist, physical therapist, veterinarian, or other health professional when you grow up? Biology majors are the perfect building block. If you want to get the most out of your learning experience at UW-Eau Claire you should check out our unique honors program. This program isn't just about taking extra classes to earn a fancy cord for graduation; it's about joining a special community of students who take learning to the next level through opportunities that will challenge you to think differently.